Most people recognize what estate planning covers in a basic sense, but plenty of research shows that people have trouble following through on developing their own estate planning documents. A new study also shows that there’s a lack of communication or understanding across generations as well. The study from Fidelity identified that many American families may be less prepared than they realize when it comes to leaving behind a legacy and an estate plan. 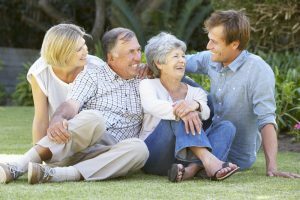 Up to 90% of parents and their adult children understood the need for estate planning in general and the value of having clear conversations about it. However, parents reported that the vast majority of them had already had these discussions with children, but that was not echoed in the children’s own answers. Nearly 70% of parents said they had talked about incapacity and estate planning with their kids, but just over half of the adult child respondents affirmed that. The study also found that nearly 70% of children and parents were not on the same page when it came to the timeline and circumstances appropriate to discuss estate planning. As it relates to legacy planning and important documents empowering someone else to step in on your behalf if something happens to you, sooner is always better. No one can anticipate an accident but plenty of families have had a bad experience trying to work through a loved one’s injury and sudden incapacitation without the right estate planning. Waiting too long might only make things more difficult for your family members if they are forced into guessing your wishes or, worse yet, the courts have to step in. Planning ahead just in case is a good way to have peace of mind about what will happen if you are suddenly unable to make decisions for yourself. To learn more about the estate planning process in New Jersey, contact an experienced lawyer who can help you structure a plan in line with your needs.